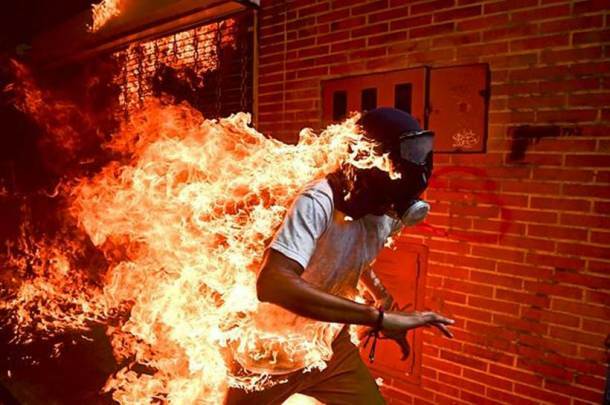 In this image released by World Press Photo which won the World Press Photo of the Year and the first prize Spot News singles category, titled "Venezuela Crisis" by Ronaldo Schemidt for Agence France-Presse, shows JosÃ© VÃ­ctor Salazar Balza (28) catching fire amid violent clashes with riot police during a protest against President Nicolas Maduro, in Caracas in Venezuela. 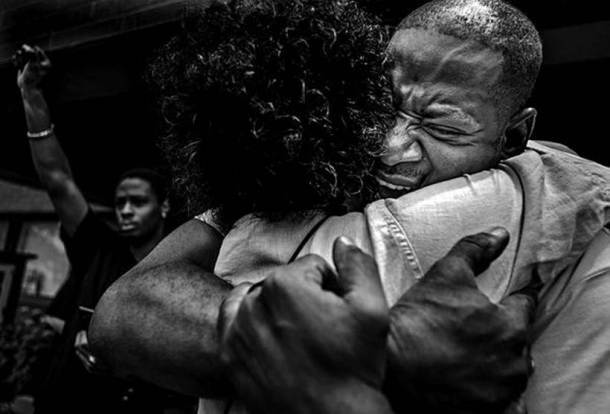 Winning image of World Press Photo 2018 for General News Singles taken by Richard Tsong-Taatarii shows John Thompson being embraced after speaking out at a memorial rally for his close friend Philando Castile, two days after police officer Jeronimo Yanez was acquitted of all charges in the shooting of Castile, in St Anthony Village, Minnesota, US, in June last year. 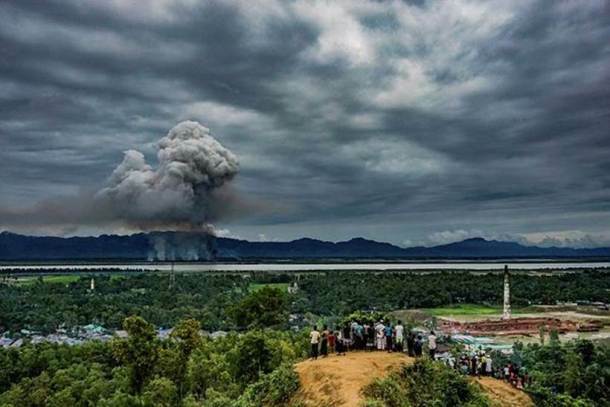 Third-placed image of World Press Photo 2018 contest for General News Singles taken by Md Masfiqur Akhtar Sohan shows a group of Rohingya at the Leda makeshift settlement, who watch as houses burn just across the border in Myanmar, in Cox's Bazar, in Bangladesh last year. 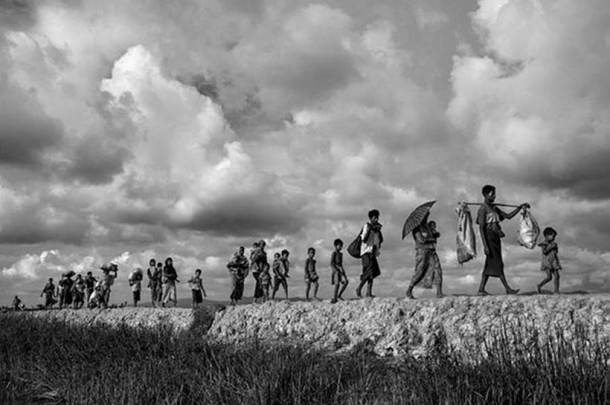 Second-placed series of images of World Press Photo 2018 contest for General News Stories taken by Kevin Frayer shows Rohingya refugees carrying their belongings after fleeing Myanmar, as they walk on the Bangladesh side of the Naf River. 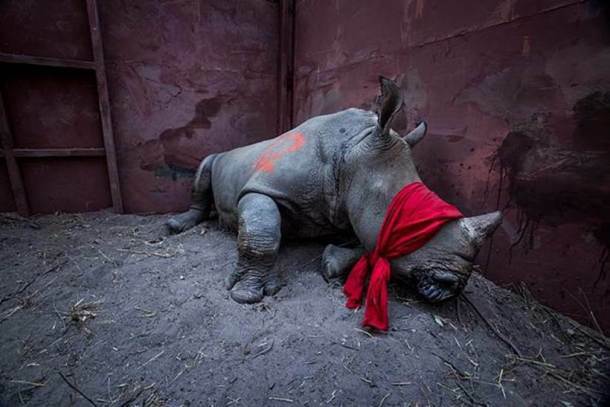 In this image released by World Press Photo, titled "Waiting For Freedom" by Neil Aldridge, which was awarded the first prize in the category Environment singles, shows a young southern white rhinoceros, drugged and blindfolded, about to be released into the wild in Okavango Delta, Botswana, after its relocation from South Africa for protection from poachers. In this image, titled "Boko Haram Strapped Suicide Bombs to Them. Somehow These Teenage Girls Survived" by Adam Ferguson for The New York Times which was awarded first prize in the People stories category shows Falmata, aged 15, as part of portraits of girls kidnapped by Boko Haram militants in September last year, taken in Maiduguri in Nigeria. 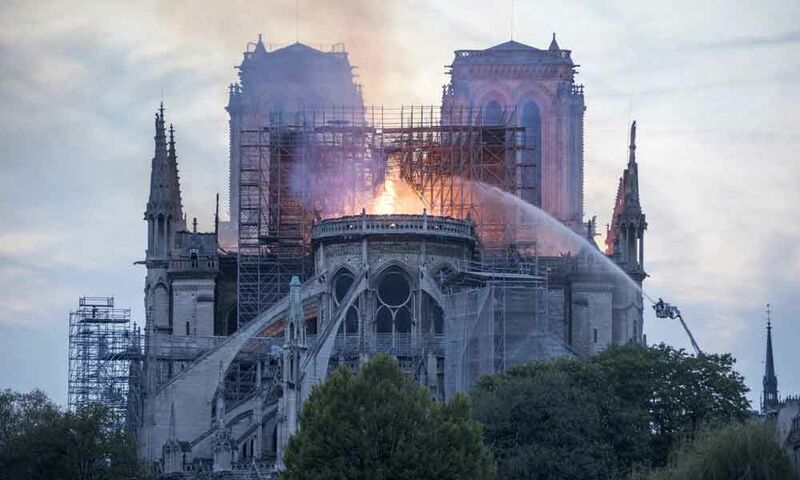 The girls were strapped with explosives, and ordered to blow themselves up in crowded areas, but managed to escape and find help instead of detonating the bombs. 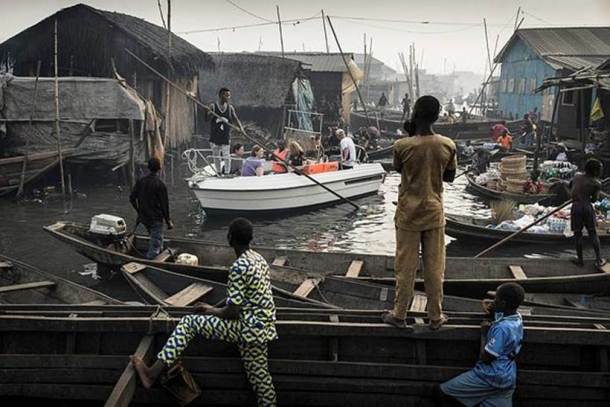 This image titled "Lagos Waterfronts under Threat" by Jesco Denzel for Laif, which was awarded the first prize Contemporary Issues, singles, shows a boat with tourists from Lagos Marina being steered through the canals of the Makoko community, an ancient fishing village that has grown into an enormous informal settlement, on the shores of Lagos Lagoon, Lagos in Nigeria. 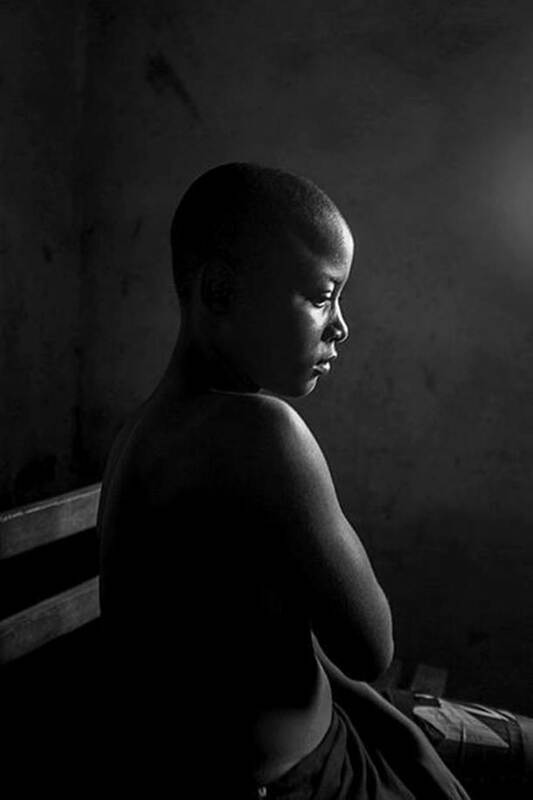 This image, titled "Banned Beauty", by Heba Khamis, which was awarded the first prize in the category Contemporary Issues stories, shows Kamini Tontines (12), from Bafang, western Cameroon, hiding her breasts after her mother has ironed them. Breast ironing is a traditional practice in Cameroon that involves massaging or pressing the breasts of pubescent girls in order to suppress or reverse breast development. 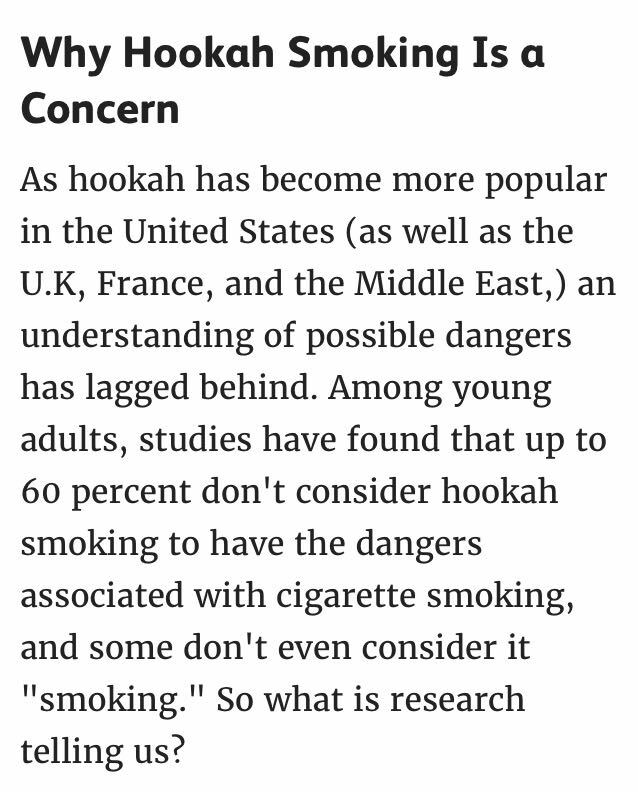 The practice is carried out in the belief that it will delay maturity and help prevent rapes or sexual advances. 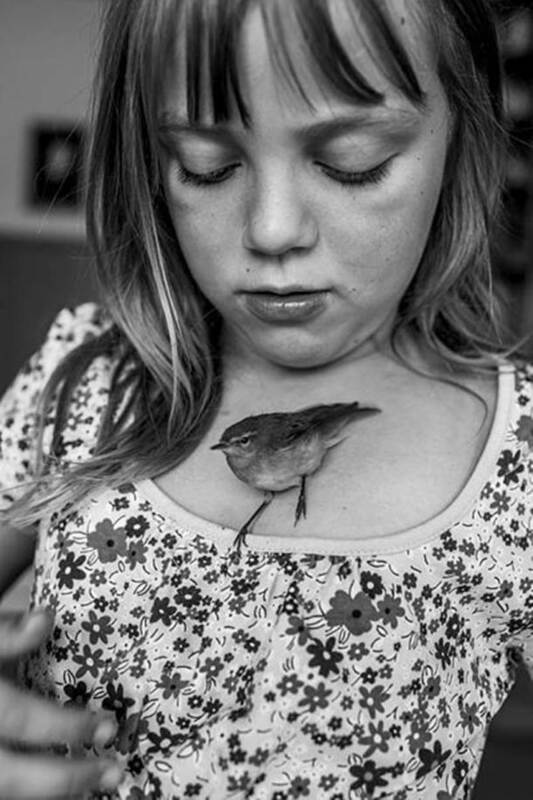 In this image titled "Ich Bin Waldviertel", by Carla Kogelman, which was awarded the first prize in the category Long Term Projects shows Hannah with Pipsi, a bird found in a nearby field. 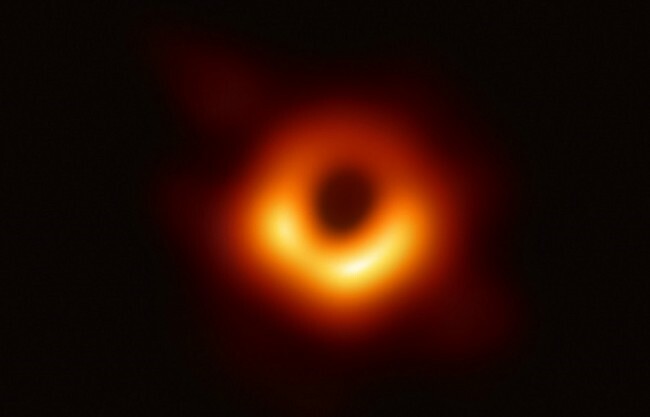 Although the girls cared for Pipsi tenderly, he died that summer and was given a lovely funeral in Merkenbrechts, Austria. 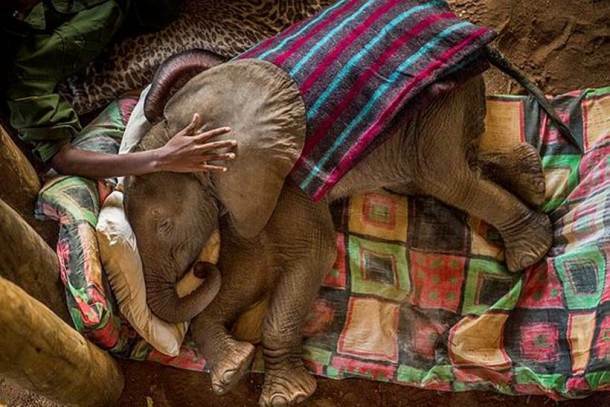 This image titled "Warriors Who Once Feared Elephants Now Protect Them" by Ami Vitale for National Geographic, which was awarded the first prize in the Nature stories category shows a rescued baby elephant being tended at the Reteti Elephant Sanctuary, in northern Kenya. 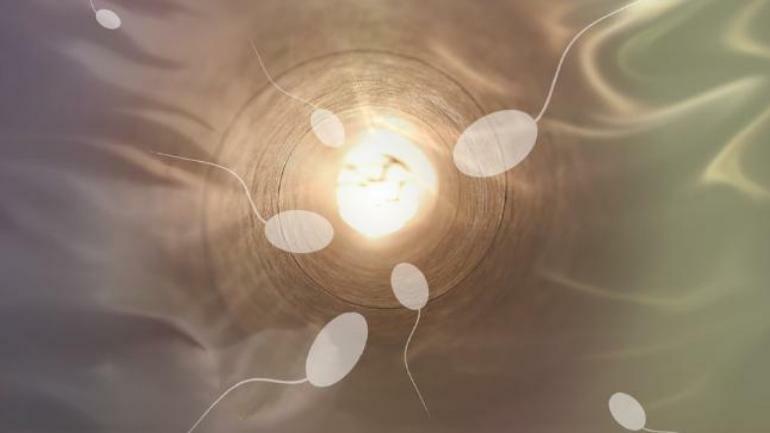 Dr Jan Karbaat, who died in 2017, used his own sperm instead of the chosen donor to father 49 children.